Has China gone to far? Water is necessary for everyone and everything on Earth. A large percentage of Earth is made up of water. Most of Earth's water is salt water but you can not drink it because it will cause diseases. It is deadly to crops and animals. Freshwater makes up about only 2% of water on Earth. Most of it is not accessible. Fresh water is mostly used to grow crops to feed the world's population. Small amounts of water are used for industry and household uses. As Earth's population increases then the demand for water also increases. Most of Earth’s freshwater is overused or contaminated. Water sources are being polluted by human waste and other harmful chemicals. Burning fossil fuels are a major effect on the environment. Freshwater in the world is decreasing rapidly. The amount of decreasing water is causing countries to break out more. The world is using to much water. No country has ever been in the same problem as China. There a really bad pollution problem in China. It is an overuse of the industries. Nearly 500 million people in China lack access to safe drinking water. Only 1% of the countries 560 million cities do not breath safe air. China has entered its most worse stage of their entire industrial break. There is fetid air and water for thousands of social unrest. Industries have been importing bigger amounts of oil and coal. It takes more money and the problem is harder to address the longer they are not solved. 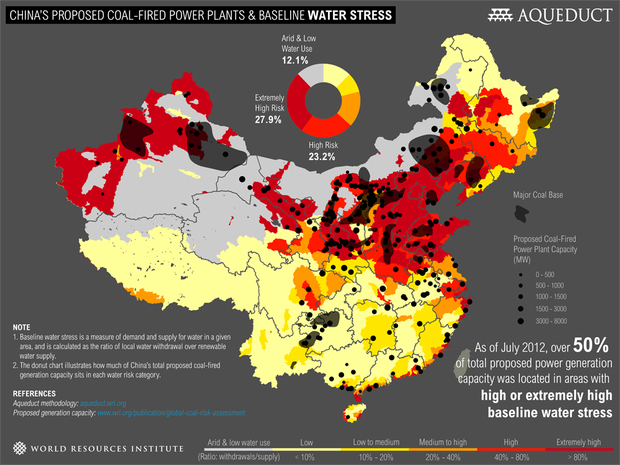 Most of Chinas water pollution is above grade V. Above grade V is the highest possible pollution rate. 61.9% of lakes, rivers, or streams that were checked were above a grade IV. China is in so much trouble that they are worried about the olympics. Chinas sky is gray. Since the community is covered with a ginormous gray shroud, the country barley ever sees the sun. Pollution causing cancer is the lead number of death. People get poison from pollution. They get really sick and may die. The longer they go without solving the problem, the harder it is to address, and the harder it is going to be. China got a "meteorological deus ex" to clear the skies for the 2008 summer Olympics. This is a God from the machine. They have thought of this a possible all time solution to get clear skies. They have thought of getting rid of polluting industries or closing illegal coal mines. This will reduce emissions and conserve energy. If they do this they will save money and it will help to get solar and wind power. Pollution is a risk in China. The most polluted areas are in the North - East and a little bit in the North - West. There is pollution in the South it is not at a higher risk. To maintain its economic growth and provide for its massive population, China must reconcile two powerful, converging trends: energy demand and resource scarcity. One prime example of this tension is the country’s coal use and water supply.